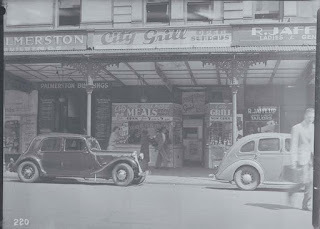 The 1940s were boom times for Auckland’s Dalmatian-run grill room restaurants, especially after US soldiers, sailors and nurses arrived in June 1942 - there were six grill rooms on Victoria Street West alone (Clarich, Jelich, Kosovitch, Lipanovich, Makovina and Urlich) and a further 20 in the central city. The Americans came for R and R after fighting in the Pacific, for medical attention, and for training. 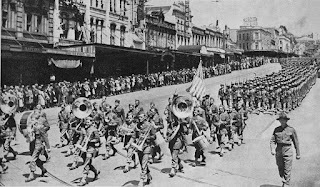 For the next two years about 50,000 American servicemen and women were in the country at any one time. They were often paid twice as much as local wages, and had three out of every four days free. 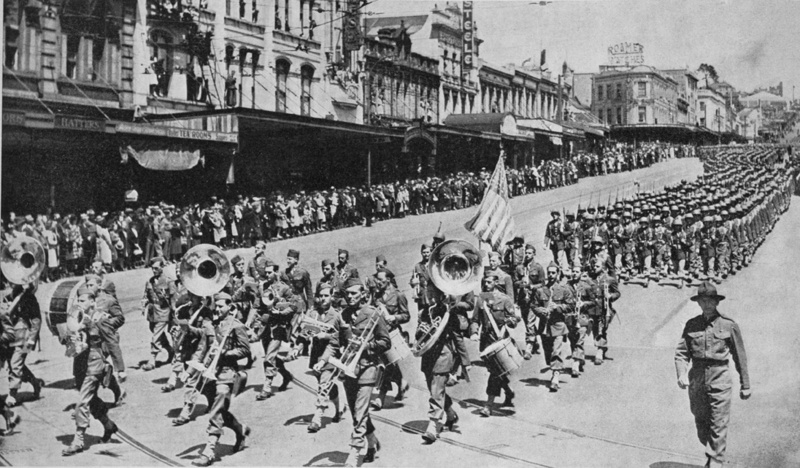 Ref: Auckland Weekly News, US troops in Queen Street, 1942, Sir George Grey Special Collections, Auckland Libraries, 7-A14390. wrote Perrin Rowland in Dining out: A history of the restaurant in New Zealand. 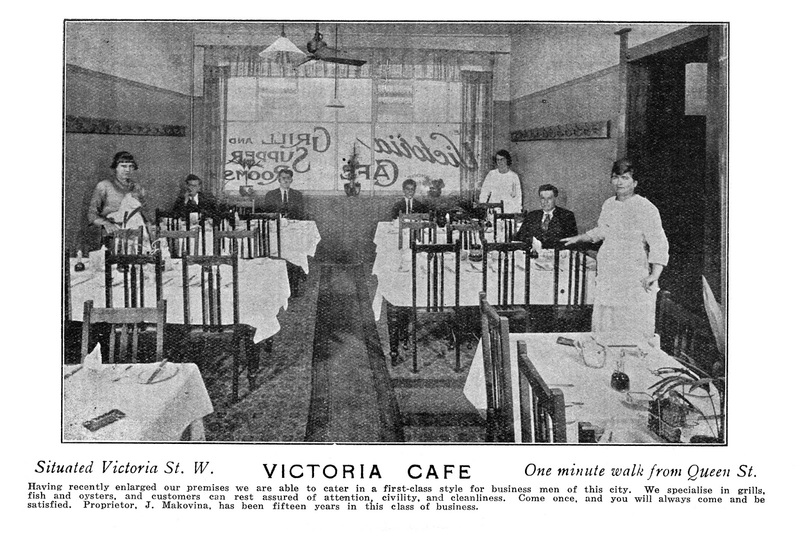 “The visitors’ gregariousness and blatant pleasure seeking encouraged their hosts to relax certain social rigours.” Hence grill rooms and other businesses started opening on Sundays, too. The grill rooms bore exotic names such as The Golden Gate, The Silver Grill and The Royal Café. They served sausages, chops or steak, battered or crumbed fish, oysters, eggs. Everything came with chips, a plate of white buttered bread, and a garnish of shredded lettuce and tomato finished off with a blob of mayonnaise. Tables had cruets holding salt and pepper, bottles of Worcestershire sauce, tomato sauce and vinegar; and meals ended with milky coffee made with essence. Ref: Auckland City Council, City Grill in the Palmerston Buildings, 1933-38?, Sir George Grey Special Collections, Auckland Libraries, 580-313. War-time shortages meant eggs were hard to find in the cities. Rowland said that as a result, one restaurant changed their menu from “Bacon and Eggs” to “Bacon and Egg” and another simply offered “Bacon and Toast.” In 1942 sugar and tea were added to the rationing list, followed by butter. 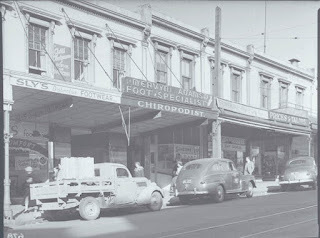 “With the well-known seasonal shortages of… fish and eggs, on top of wartime difficulty in securing canned fruits, assorted biscuits, spices and nuts, it requires much planning and ingenuity on the part of [restaurants] to offer the clients the choice of foods they would wish,” an Auckland Star article from 11 June 1942 stated. Ref: Auckland City Council, Street frontage of 326-332 Queen Street with Sunshine Fish and Grill Rooms, 1939-1941, Sir George Grey Special Collections, Auckland Libraries, 580-779. Dalmatians (Dallies) arrived in New Zealand in the 1860s to prospect for gold but by the 1880s most had moved north to the Kauri gumfields, as these became depleted former gumdiggers and rural labourers moved to the city. Many entered the food trade because it was a means to economic advancement which required little training or education, wrote Andrew Trlin in Now respected, once despised: Yugoslavs in New Zealand. “Only six months work as an assistant and a basic working knowledge of the currency … [and] a few commercial words, was necessary.” It was also cheaper to lease shops than to buy land, and there were savings to be had on accommodation costs - living quarters were usually available on the same premises and could house a family, or several men in partnership. Finally, wages were reduced as all members of an extended family, including grandparents and children, could work in the kitchen or wait tables. Ref: New Zealand Ephemera - Advertisement in Waitemata Amateur Swimming Club pamphlet, Fifth Carnival, Season 1923-24, Sir George Grey Special Collections, Auckland Libraries. 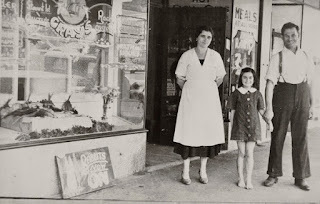 Mladenka Martinovich (nee Grubisich) recalled her first Christmas in her family’s Hawera shop after arriving from Yugoslavia in 1931. 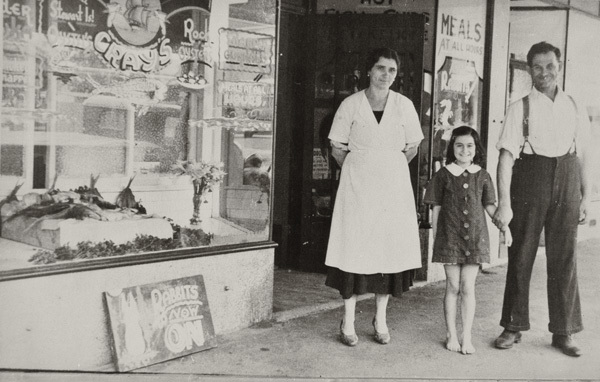 She and her sister, aged 8 and 10, “were taught to do some minor chores, like how to serve customers in the restaurant. Mara [her sister] was at the front on counter watch taking orders and wrapping the parcels of fish and chips… I was directed to clear and clean the tables so new customers could be seated and order their meals… [my mother] advised good manners, politeness and a thank you at all times.” In spite of much embarrassment and shyness, Mladenka reports that she was given tips, and “came to know well many of these generous Kiwis who were our regular customers.” (New Zealand Memories, Issue 81). Ref: Fish shop, Otahuhu, c1939, photograph reproduced courtesy of Otahuhu Historical Society, South Auckland Research Centre, Auckland Libraries, Footprints 03772. Jakob Vincent Kurta’s experience, outlined in Stephen Jelicich’s book From distant villages, illustrates a common trajectory. 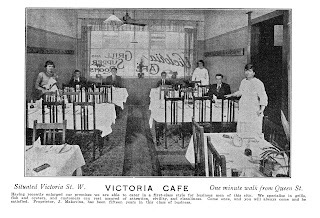 Kurta moved from the gumfields to the city and worked in a Queen Street restaurant where he learnt the trade and improved his English language. He bought the business as soon as it came on the market, along with partner Ivan Pavlinovich. Kurta later moved to New Plymouth and opened a restaurant there. A stream of compatriots worked for him, learnt the ropes, and in time moved into their own restaurants. To find out more about the Dalmatian community in New Zealand head over to NZ On Screen and watch the documentary Dalmatian at heart. Update (28/9/15): The West Auckland Research Centre has recently collaborated with the Dalmatian Genealogical and Historical Society to help digitise materials and thus increase access to the history of Dalmatian migrants to New Zealand. To browse this collection go to Local History Online and perform a keyword search for ‘Dalmatian’. Wonderful article and photographs, thank you.